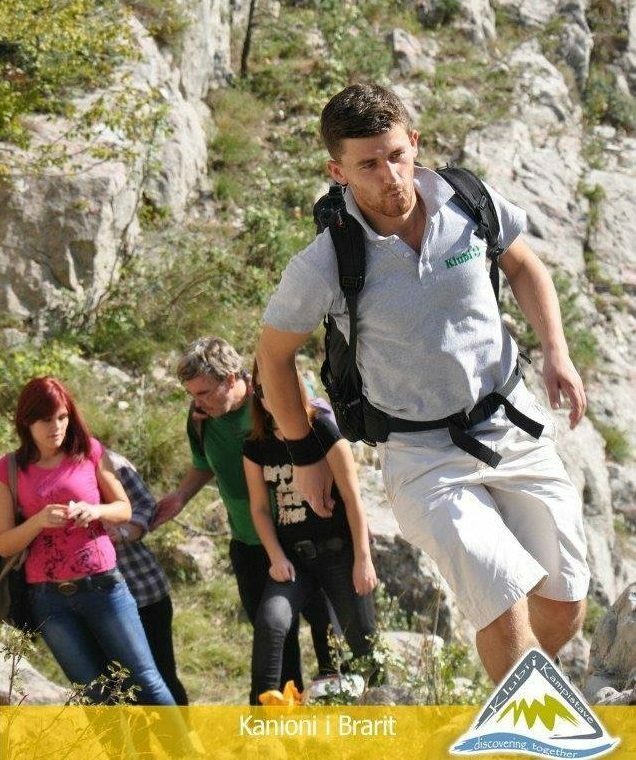 Ismail Hoxha is the founder and the current director of Klubi Discover Albania, a well known tour operator which organizes daily and weekly different types of tours throughout Albania. With more than 9 years of operating in the country, Klubi Discover Albania is not just another tour operator, it is a company that aims to share values and improve the tourism industry in the country by being one of the first companies to set standards in the market. We had an interview with Mr. Hoxha, a banker who spends his weekends working as a tour guide, although he says he is just a nature passionate. We wanted to know more about what is it like to work as a tour guide in Albania, what is it like to visit Albania and to know more about Klubi Discover Albania. If you enjoy this article, read also our Tours in Albania overview article. How did you become part of the tourism industry? I started my career by organizing activities since in high school. When I was in the second year, the school started a project with Junior Achievement Albania organization where students could create a real company inside the school. I became the director of the company and I remember we sold about 400 shares in a short time. The company was a small shop and students were our clients. This experience has been a very big push for me to continue organizing activities. It is a stressing job sometimes but if you like doing it, you will be successful. Also, during the time I attended high school, I used to work in different jobs and to be in the company of older people than me, an experience that has taught me very much about life and how to be a positive person. My desire to organize events continued even when I got into the university. I have studied economics and at the time I was a student I became the head of Student’s Council and director of the National Student newspaper. Every job I’ve worked before has to do with what I am doing now, as for organizing and financial skills. Tell us more about Klubi Discover Albania? Klubi Discover Albania first started organizing paid tours in Dajti Mountain in 2007, after a period when we used to organize free tours for students only. I had this idea of creating a tour company after I had a talk with an American citizen who was living in Albania at that time. When I asked him what his opinion about Albania was, he said our country had many natural beautiful places and started mentioning places I’d never heard before. I got curious and I started organizing hiking tours and events with my friends. The main problem of having and developing such business back then was the way you could do marketing to your events. We didn’t have any social media but the fact that I was the head of the Students Council helped me to spread the word to my contacts. After organizing successful tours in Dajti Mountain, we started organizing camping tours in Jale beach in southern Albania. Then, we started organizing tours throughout the country. So far we have worked mainly with Albanian tourists who want to explore Albania or neighboring countries such as Kosovo or Macedonia, but in the past two years we have started to work with foreign tourists as well. Klubi Discover Albania has now 4 full time employees who are in charge of the administration of the company and clients, 3 tour guides for bike tours, 2 tour guides for daily tours and 4 others for tours in the weekends. We also have 2 audio and video professionals who record drone videos and take photos of beautiful tourism places throughout the country. You participated at the iTB fair this year. Tell us more about this experience. What I noticed at the iTB Berlin far was that most of the people who visited the Albanian booths were people who had previously visited Albania and wanted to visit it again, or people who had been in neighboring countries such as Montenegro, Macedonia or Greece but didn’t have the chance to visit our country. 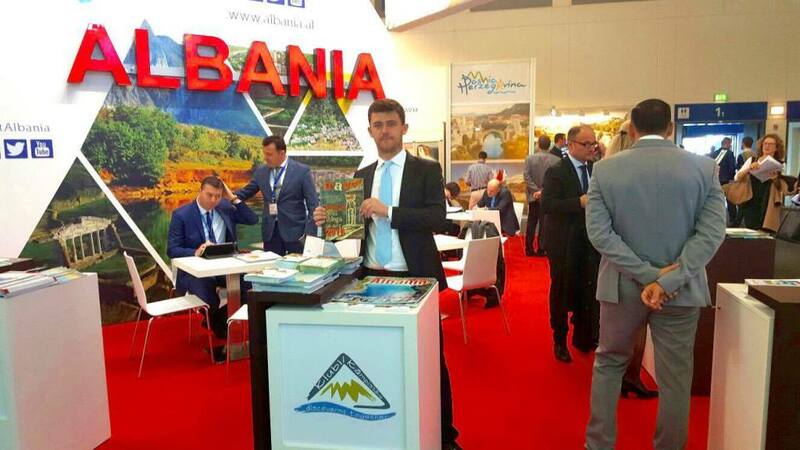 The fair was attended by 19 Albanian tour operators and a Ministry of Tourism delegation headed by the Minister of Economic Development and Tourism, Milva Ekonomi. The fair is more concentrated in b2b meetings between companies than an exhibition for tourists. What most of foreign tourists remember from their visit to Albania is the figure of former dictator Enver Hoxha or the famous bunkers from the dictatorship period. The only way foreigners get information about Albania is through famous historic events or by searching in Google. 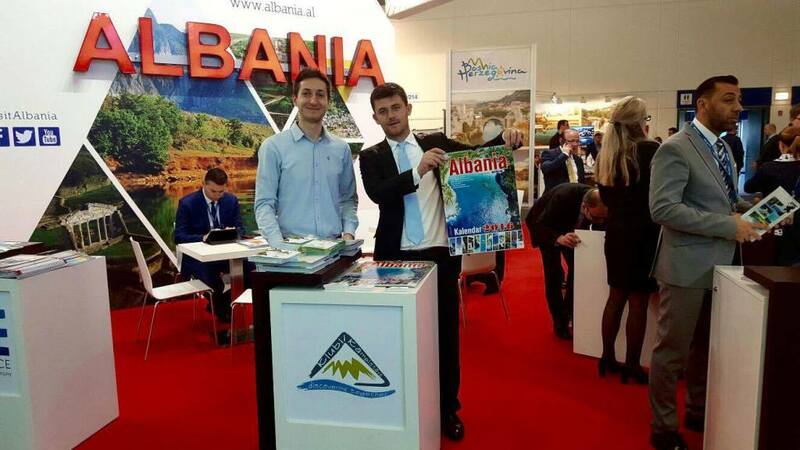 Most of the tourists that visited Albania’s booth were above 40 years because young people do not often choose Albania as a first tourism destination. Most of the foreign tourists want to visit Albania because they have never heard about the country or may have heard strange opinions or information about it. Another element that attracts them is the cheap prices, the Albanian traditional food which is delicious and at low costs at the same time, and also the desire to visit well known places like Butrint ancient city, Gjirokastra or Shkodra cities, and other places. How can you categorize your tourists / clients? We started the company working with students but the average age of our tourists has increased year after year and I consider this as a good thing. Our clients are between 25 and 45 years old but we have continuously had tourists of all ages. For example, once we had a couple from the US who had taken their two years old son with them. We have had also elderly people of 85 years old who have chosen our company to take trips. Those who want to become part of our tours must have a young spirit, especially those who choose to become part of daily trips. In turn, those who choose bike tours or hiking in mountains must meet some specific criteria regarding the physical aspect. There are tours that include 8 hours of walking or more, so they are tours that not everyone can be part of or handle physically. Speaking of the economic aspect, I would say that most of our tourists are people who have a good job, people who feel the need to travel, students and those who have enough free time to travel. Where does a tour guide receive information about a tourism place / village? Most of the times, we have received information from the locals. The best way to do this is by vising a village or a tourism site in order to get to know better the terrain and to know how locals live there, their traditions, cuisine and other things. 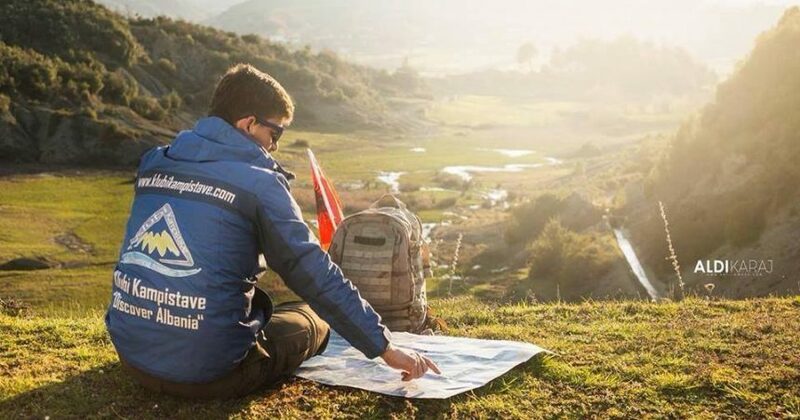 At Discover Albania, we have a regulation based on which we find the most suitable places to do new itineraries so we keep track of trails or mountain paths. In order to receive a reliable information about the zone, a tour guide must ask information from the oldest persons of a local community. Tour guides usually receive information about the most beautiful places to visit in a village, the legends, real stories from the past, ect. Do tourists and people in tourism places experience cultural misunderstandings? We have not often encountered misunderstandings between tourists and locals because tour guides play a crucial role in this aspect. Tour guides are the persons who know how to communicate and negotiate with locals, know their traditions and rules. They act as middlemen between tourists and locals. Why tourists must hire tour guides if they want to visit Albania? It is true that tourists can explore Albania by themselves but in my opinion they will have a better experience while exploring the country if they hire a tour guide. The first reason why I am saying this is that not every tourist has the ability to explore a country by him or herself. This can be done only by a certain group of tourists, which are usually backpackers. The most important reason why tourists should explore Albania helped by tour guides is that often tourists go to a famous tourism place and don’t explore the place properly. For example, many tourists go the Theth National Park and miss visiting many other tourism places in Theth, because they stay in the village and are not aware of many other beautiful places nearby. There are a lot of other reasons why tourists should be guided by tour guides. An Albanian tour guide knows very well the country, the traditions of the locals, the best hostels or guesthouses, the best restaurants or bars where tourists can stay. Which are the pros and cons of working as a tour guide in Albania? A person can become a tour guide only if he or she loves this kind of job. You cannot be a successful tour guide if you see this job only as a job and nothing more. One of the best benefits that a person can have by working as a tour guide is that you network and create contacts with different people, of different ages and professions. Also, when working with groups of people where every person differs from the others equips a tour guide with high organizing and communication skills. You also get to enjoy the beauty of nature. The most negative part of working as a tour guide is that this kind of job is not a fix hourly job. You don’t get to go to work or leave work at a specific hour of the day. You should always be available for the group of tourists you are in charge of. What are the things a tour guide must always have with themselves in a trip? The first thing: A smile! A guide should be positive and in a good mood in order to create entertaining situations for the tourists. Speaking of the technical aspect, this depends on the type of tour. For example, if a tour guide works for bike tours, they should have knowledge in many aspects related to bike touring. Also, a guide should always have more clothes than others when taking a trip because there is always someone whose clothes get wet or will feel cold (this advice goes to exploratory tour guides). 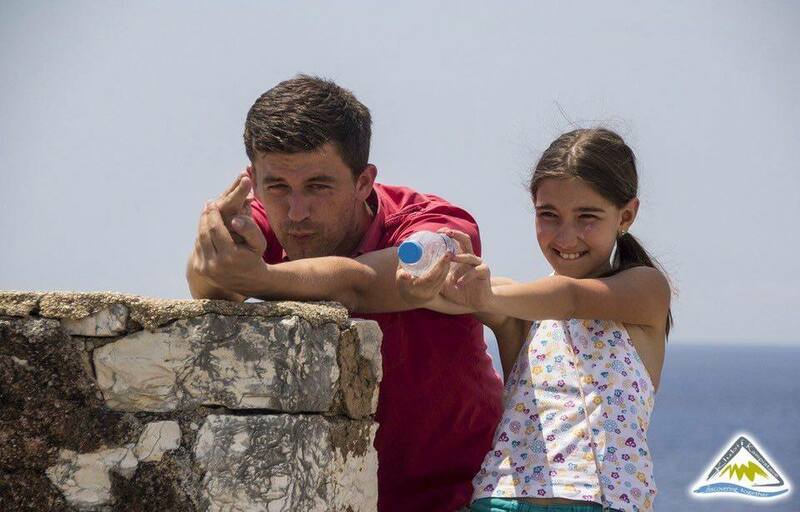 Klubi Discover Albania is one of the first Albanian tour operators that has included the First-aid box for tours and we feel proud about this. How can tour guides contribute in the economic development of rural areas in Albania? Tour guides help a lot in the economic development of the country. Let’s suppose that we have chosen to visit Lura lakes. If a tourists pays my company X money for visiting Lura, this allows me to hire tour guides, to pay a transport company for the transport services from Tirana to the chosen destination and also the tourists pay for the hotel. The chain of money distribution becomes larger because my company provides food for the clients, so I have to spend x money to buy food. This and other expenses are included in the money a tourists pays a tour company. When tourists go to the chosen destination (which is more likely to be a tourism spot near a village), tourists spend more money for rides with horses, they buy bio food or they have a coffee in a small bar in the village. Another way how tour companies contribute in the economic development of rural remote areas is by sending tourists in very remote villages where locals have transformed their houses into guesthouses or sell hand made food products to tourists. What’s the difference between a good tour guide and an excellent tour guide? A good tour guide is someone who follows the tour program and tourists are satisfied, while an excellent guide is someone who can manage successfully all the problems that tourists may face during a trip. An excellent tour guide is someone who has wide knowledge on every aspect that is related to a tourism trip. An excellent tour guide is also someone who has excellent communication skills and can have a talk with everyone in the group. Excellent tour guides must have a great sense of humor and usually they are people who know when something isn’t going well, even if no one says anything. 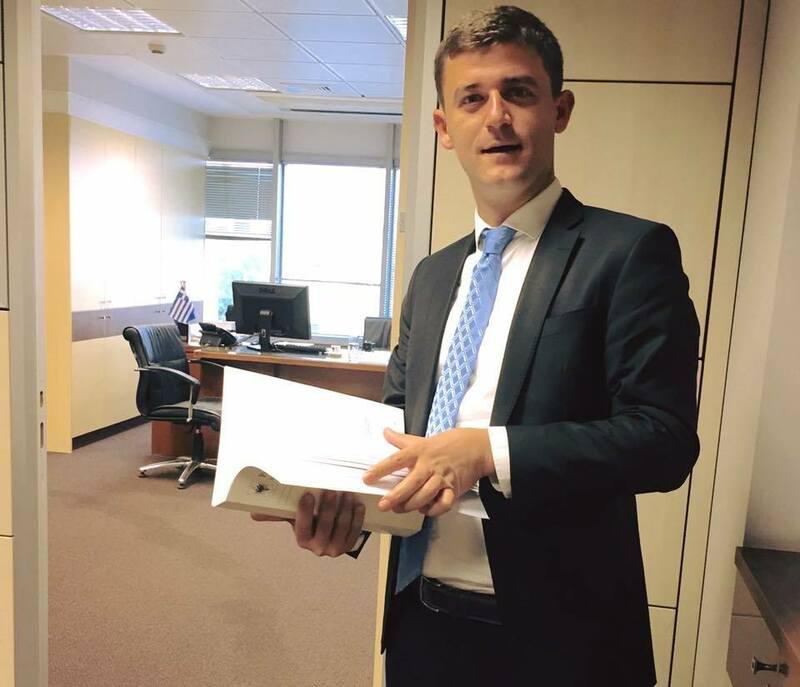 Previous PostFrom the USA to Albania: The Story of AlbanFootballNext PostHow Can Investors Get a Euro 1 Contract in Albania? Hi I’m Aredin ,I’m interested to work as a tour guide ,l used to leave in Europe it’s been few months that lm back in my country .l speak English French and Italian , hope I would be contact as soon possible.